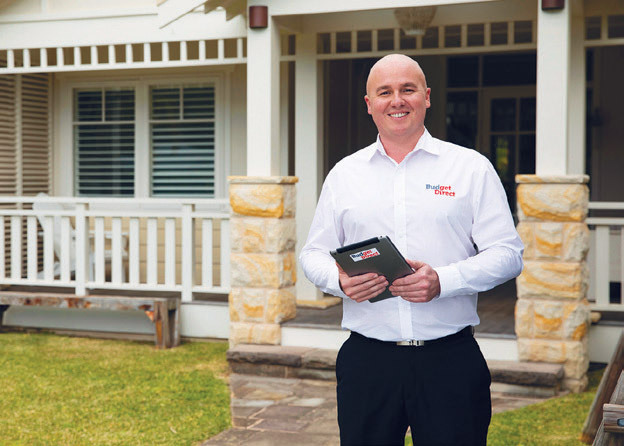 BY OFFERING DEPENDABLE AND QUALITY home and contents insurance at a price that’s hard to beat, Budget Direct has been challenging the market dominance of older, more established insurers in Australia. Through asking smarter questions it avoids subsidising ‘high-risk’ clients, which means that it can pass on great savings to its customers. Budget Direct empowers its people to provide 24/7 customised solutions that meet its customers’ requirements. In addition, its products allow the customer to tailor their home and contents insurance to suit their needs, for example adding optional covers for personal effects such as jewellery or adding accidental damage cover. Budget Direct places a high importance on its customer service teams, valuing traits such as empathy, resilience, a positive outlook and good communication skills. The company is committed to providing individual coaching and development and a great working environment. As a measure of its success, Budget Direct customers independently rated its Home Insurance 4.5 out of 5 stars+ and 93% of Budget Direct customers said that they would recommend it to a friend#. Contact Budget Direct for a 30% Online Discount on new combined Smart Home & Contents Insurance^. + Based on a survey of Budget Direct Home Insurance customers conducted between 10 February 2015 and 31 May 2018. Visit www.budgetdirectreviews.com.au for more details. # Based on Budget Direct customers who've made a claim or bought a car or home and contents insurance policy between 10 February 2015 and 30 October 2018. Visit www.budgetdirectreviews.com.au for more details. ^Terms & Conditions apply see budgetdirect.com.au. Insurance issued by Auto & General Insurance Company Limited. Read PDS available from us to decide if products suit you. Insurance not available in NT, North WA, North Qld.